If you plan on seeking an alternative to the downtown electronic music scene, there is hope on the north side of Austin and potentially an emblem of growth and music appreciation. While the bar-hopping culture of our city influences a channel-surfing logic among patrons, Subspace ATX-located in Windsor Park-wishes to encourage active listening, provide audience interaction, and power the music appetite of underground artists. Subspace founders, Christian Justo and Robert Tisdale, really emphasize these missions with the project. 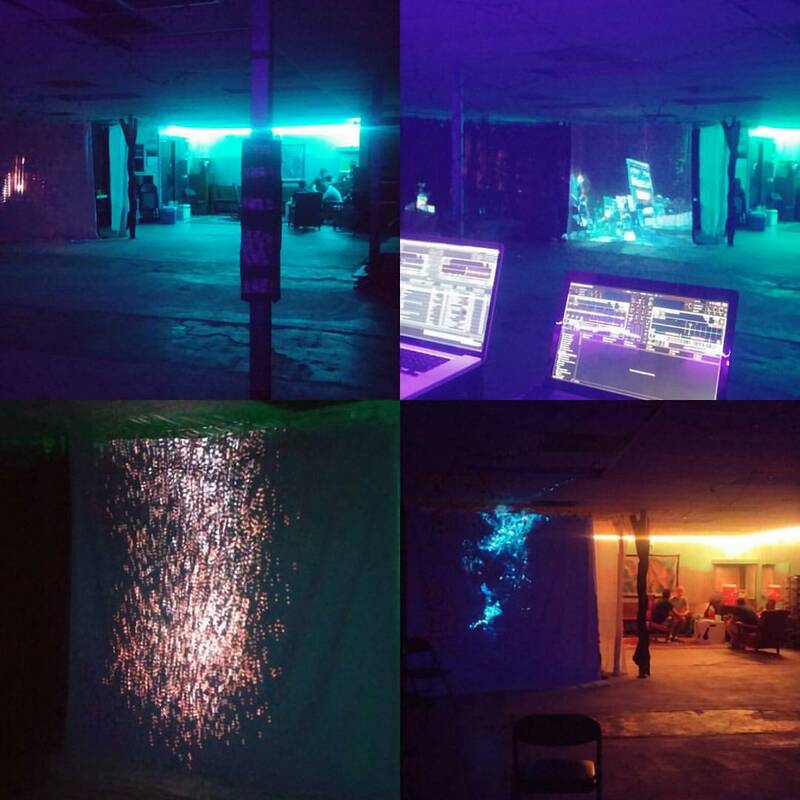 Subspace ATX opened its doors in early September 2015 and has already hosted open house events, as well as weekly meetings and jam sessions. Currently, the business is used by a physical therapist during the day, so the exercise machines for his clients rest against the wall. Yet, they can serve as props for character and aesthetic. The venue is specifically a private venue for members, except during the weekly open houses. There are two memberships: Listener or Creator. The Listener can enjoy all of the same perks as the Creator, except for voting and hosting events. Each member can bring up to two guests to events, but the member must be physically present. Tisdale and Justo are not only handling logistics, but they are also creators themselves. Tisdale is a producer and DJ, specializing in Jungle, Liquid Drum and Bass, Future, and Melodic Trap while Justo delights in many genres as a DJ and comes from a drummer background. These electronic enthusiasts hope to alleviate some problems in the music scene, such as fragmentation, oversaturation, and perhaps simply the lack of time and space for underground development. In Austin, certain venues invite EDM greats and electronic innovators-Disclosure at Stubb’s in February 2014 and ACL 2015, Machinedrum at Elysium during SXSW 2014 and Empire Control Room and Garage in December 2014-and these and other venues certainly do maintain a full roster of local performers. However, this constant flow of artists is in the palm of Austinites’ hands, and the beginner artists have to immediately bypass the learning stages in order to be up to par with established acts. Indeed, venues are feeling the pressure to stay relevant and drive revenue to pay for leasing costs, so the bar-hoppers are high priority. Consequently, the oversaturation continues, while active listening plummets. Perhaps Austin listeners still maintain that electronic music can only encompass common dance music as opposed to wonky beats, (Flying Lotus), creative soundscapes (Floating Points), jazz and R&B (Thundercat), or trip-hop/atmospheric (DJ Krush). Whatever the case, listeners and creators can come together in Windsor Park, the corner neighborhood of 290 East and I35, to mix, produce, learn, discuss, and grow as a musical community. “I want our members to feel free to jump outside of the box and explore creatively,” Justo concludes. “I don’t want people to have to worry that they wont get another event because their last mashup wasn’t totally on point or they mixed from genre to genre in a set. I think making mistakes is a huge part of growing, and I really want us to encourage the idea that sometimes you have to get a little dirty in order to make something really amazing. I’m really stoked to hear the new styles and genres that come out as a result. Presently, memberships are $15.00 for Listeners and $30.00 for Creators. More details on membership can be found at https://subspaceatx.tidyclub.com/public/memberships/new, and more details on the venue can be found on the main website at http://subspaceatx.com. Please visit the venue’s social media pages as well: Subspace ATX on Facebook, @subspaceatx on Instagram, and @subspaceatx on Twitter. Lauren Lyman is a freelance writer, flutist, and singer. She is a graduate of Texas State University, where she attained a Master of Music in music history. She wrote her master's thesis on the sisters of Heart, as well as Fiona Apple, Madonna, and Janis Joplin. I read this article and found it very interesting, thought it might be something for you. The article is called Mix, Dance, and Listen at Subspace ATX: Two DJs Open Underground Electronic Venue and is located at https://www.austincurrent.com/mix-dance-and-listen-at-subspace-atx-two-djs-open-underground-electronic-venue/.